If your green thumb is getting antsy during the off-season, seed starting can give you an early jump on spring. 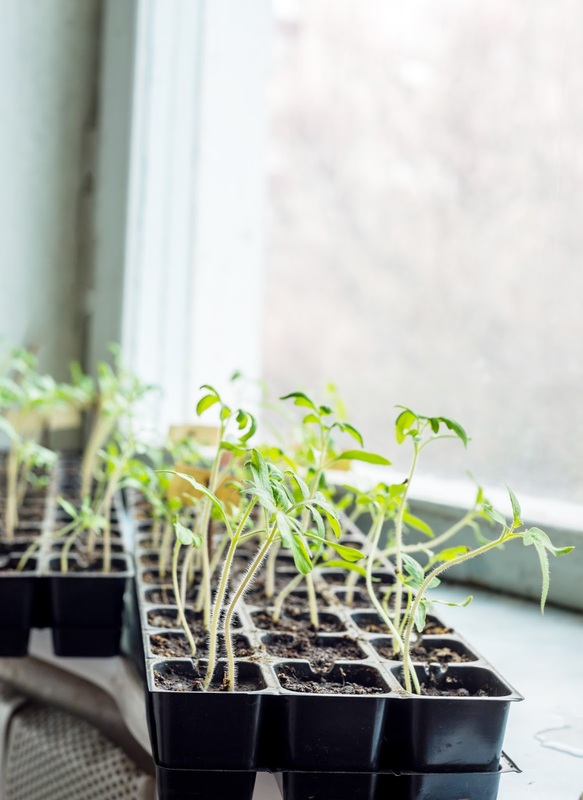 Cold conditions make it impossible for seeds to survive outside, but by beginning the cultivation process indoors, your plants can thrive when the weather inevitably improves. Don’t be discouraged if you can’t access a greenhouse! 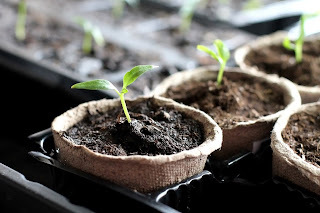 Incredible results of starting seeds indoors are still possible for amateur gardeners on a budget. Best of all, seed starting is a simple technique to practice—it only requires a bit of foresight, a little time for preparation and a few basic supplies. To help you understand the practical process necessary for the implementation of this technique, we’ve compiled a comprehensive guide that outlines the materials every seed-starter should have on hand. Read over our list below to distract yourself from the dreary winter weather – and to begin cultivating seeds of your own year-round! The most important factor influencing the results of your seed starting experiment is—wait for it—the quality of the seeds themselves (self-explanatory, we know). Luckily, finding good seeds is simple if you know what to look for. When choosing seeds, be sure to select an Open Pollinated (OP) seed rather than a Hybrid (F1) variety. Along with being more expensive, Hybrid seeds are used more frequently by commercial farmers than by backyard botanists. It takes more time for an OP seed to mature than an F1, but the extended waiting period gives amateur growers flexibility when harvest season rolls around. When choosing what type of plant or crop you’d like to grow, don’t get overly ambitious from the onset. Seeds that naturally thrive indoors include: basil, zinnia, tomatoes, marigolds and cosmos. We suggest that you stay away from seeds that require very particular, native soil like petunias and azaleas. Instead of simply tossing your seeds into garden-variety topsoil, it’s essential that you use a pure, unadulterated seed starting mixture. By choosing a seed mix, you ensure that your soil is devoid of any contaminants that could potentially alter the germination process and harm the plants’ overall health. Seeding mix contains fewer nutrients than soil straight from the ground, so be sure to supplement the mix with an organic liquid fertilizer. As long as the container you choose has enough depth (2 to 3 inches), your seeds should grow properly. This leaves growers with plenty of room to get creative. Yogurt cups, newspaper and paper towel rolls are effective DIY options, but we suggest you use a greenhouse starter kit instead. Specialized trays are better equipped for handling the increased levels of humidity your seedlings will be exposed to, and these trays won’t mold with moisture. Providing your growing trays with adequate artificial sunlight is a fundamental key to seed starting success. 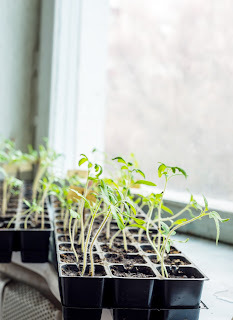 Relying upon a window for natural sunlight during the winter is a surefire way to get stunted sprouts. Instead of settling for uneven lighting, we suggest investing in a grow light set up or a compact lighting system. This small apparatus isn’t critical – but it will make your seed growing easier since you won’t need to remember to turn the lights on and off at the start and finish of each day. Your budding seeds need an environment that simulates that of being outdoors, and daylight is a big part of that. So save yourself the effort of remembering to hit the lights each day and invest in a timer. As your seedlings grow, you’ll be watering them from the bottom, so you’ll want a vessel that makes this process easy, like a watering can. You’ll also want some sort of spray bottle to keep the seeds from drying out from above without dumping too much water on them. It’s a fine balance, and these supplies will help you reach it. If you’d like your seeds to start sprouting in no time, a heat mat may be just the thing. By placing your tray of growing seedlings on this mat, germination and rooting will take place sooner than otherwise with the elevated temperature. The root area will be about 10-20° warmer than what it would be otherwise, giving it that extra boost for growth. Adding a dome to that tray will create an enclosure for the growth – a layer of protection for your budding vegetation. With the help of these basic seed starting supplies, you can begin carefully cultivating seeds before the onset of spring and receive unparalleled satisfaction from watching your seedlings sprout. If you’d like to try seed starting for yourself, be sure to check out our full selection of seed and plant starting accessories as well as our 2017 bulk seed order form.